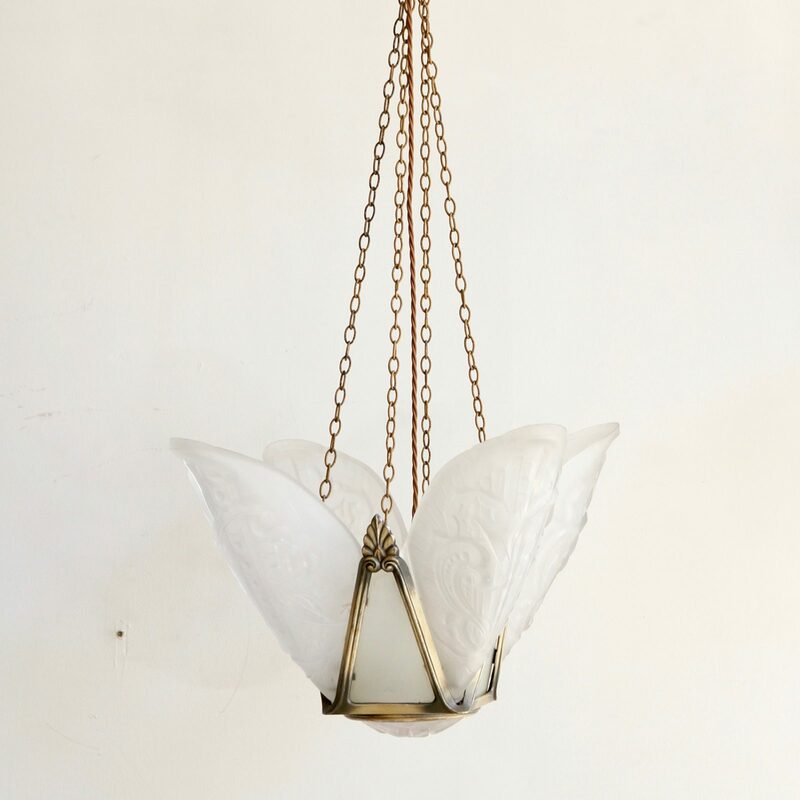 Decorative 1920s Art Deco light fitting with four moulded frosted glass shades. Each lobed shade is decorated with Deco scrolls, clouds and beaded decoration. The brass frame has a lovely natural patina and frosted glass panels that sit between the frosted shades. This pendant would be rewired with a single central lamp. Chain can be adjusted as needed.